You know those lovely blogs full of ingenious, fashionably-current items of summer clothing for children? The ones that have charming details and carefully-coordinated prints and which are probably part of a hip and inspiring sewalong? Ah. This is not one of those blogs. When each new season arrives and we dig out the clothes from last year's corresponding season, I am always astounded at how they no longer fit. How can children grow ten thousand inches in just half a year, for goodness' sake? My first strategy is always to exhume those clothes as early in the season as possible, so I can hit the shelves of Target and Kohls, and get first dibs on all the basic pieces in the sizes I want. Yes, that's my motto: Quickly Buy First, And Then You Won't Have To Sew. Using that clever tactic, I have, in all these years, triumphantly avoided having to sew a single top for my children. Whooooooooo!!!! 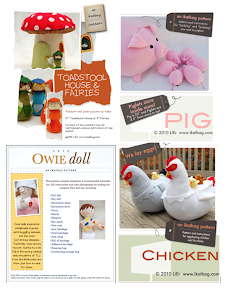 Extra time for mum to sew toys and make cardboard stuff! Bottoms, though, I have not been so lucky with. This year, I have had to alter the waistbands of every single pair of shorts I bought for Emily. She likes the lengths of the store-bought bermudas, but her waist is at least 2" too small. And even after we'd bought almost every single available color of those mum-altered shorts, she was still rummaging in the dirty laundry, saying, "Can I wear these tomorrow for school? I've run out of shorts, see. These have no mud stains on them." In my house, at least, I know which one is easier and faster. I used my old pants pattern from here, cut it short and let it out at the thigh. Then I dragged Emily to my fabric closet, pointed out the knit shelf and said, "Pick fabrics." I made one pair just to check that she hadn't outgrown the pattern (never trust children - they surreptitiously elongate when you so much as look away) and then maniacally cut out another 5 pairs. 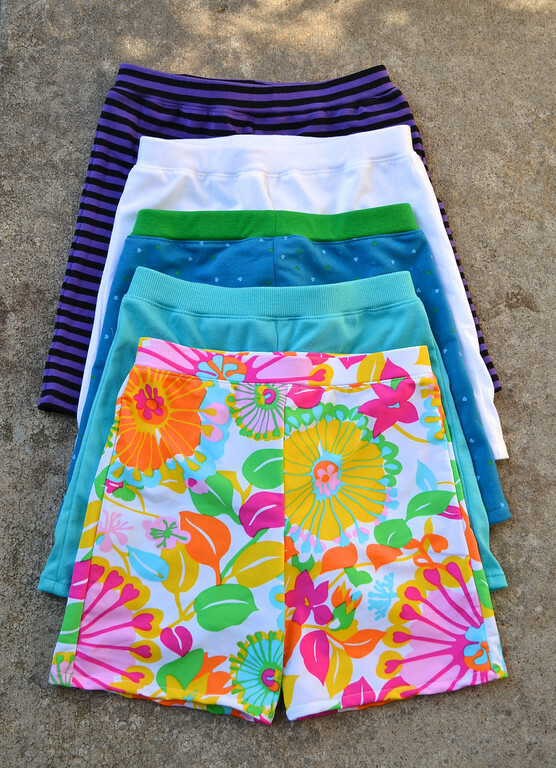 6 pairs of shorts in 24 hours. Ah, the beauty of detail-less mass-producing. is already in the dirty laundry basket. No photos of Emily wearing them. The fit is the same as the pants in that pants post. So shorts done. Summer dresses next. P.S. 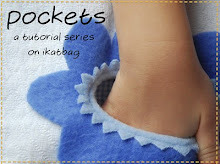 No pattern or tutorial for these. 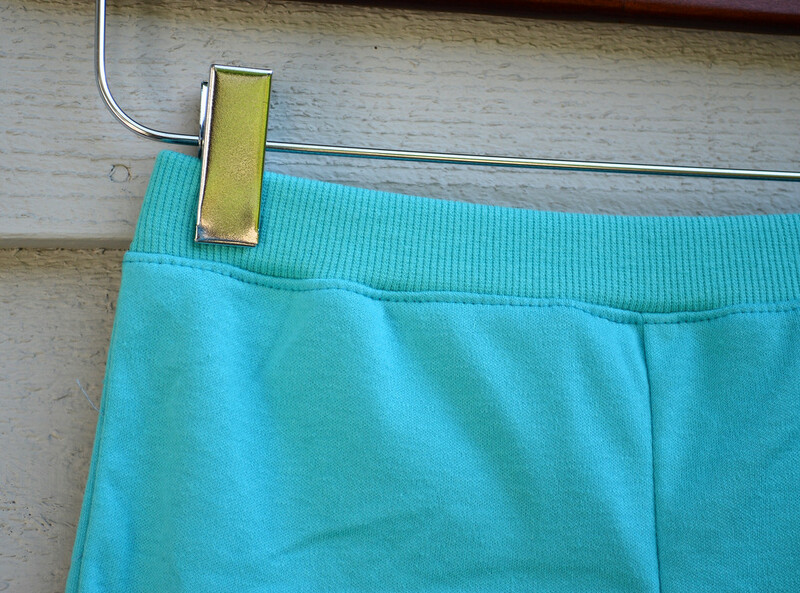 But here's an old knit shorts tutorial with pattern, in a smaller size. 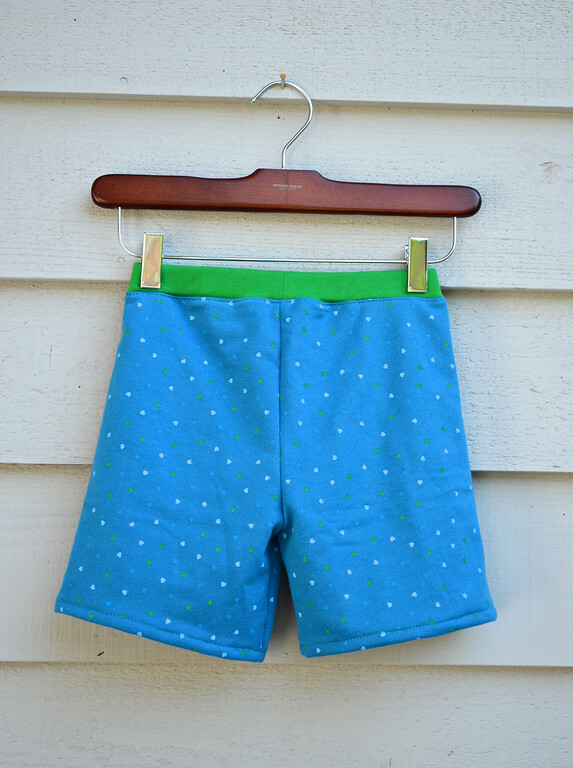 Unlike Emily's shorts above that were drafted to fit her specifically, that smaller pattern is a loose generic fit, so most 3-year olds will be quite comfortable in them. 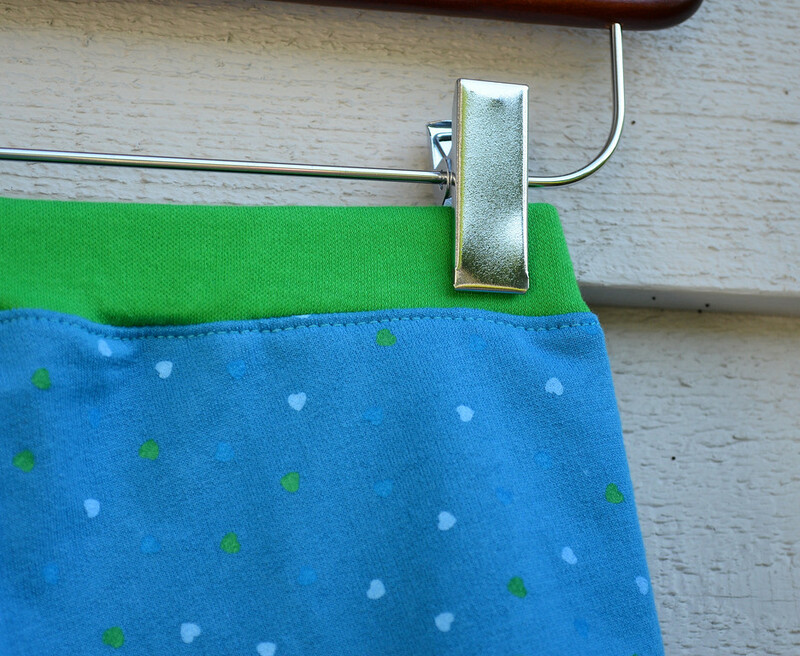 And if you prefer my new smooth waistbands to the elastic casing ones in the tutorial, you can find that tutorial here. I love your Blog and Your Ideas! Target and Kohls are fantastic, but I have the same waistband problem with Emma. I have a bunch of ribbing in my closet - time to find some fabric for the shorts part and then to sew up some new shorts for this year! I had to chuckle over the laundry vs sew thing. I whipped up a nightie for my daughter (out of a tshirt of mine that I loved but really needed to stop wearing because it had a coffee stain on it) while my hubby gave her a bath two days ago, because it was faster than laundry. Why do I even do laundry? Sewing is more fun. yep, sewing is more fun! 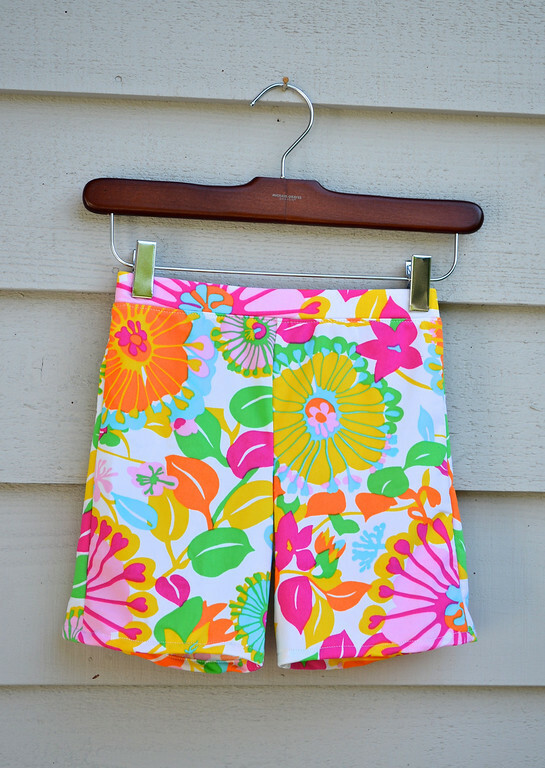 love that you can assembly-line sew so many shorts... AND they get used! I get bored making more than 2 of anything.. and the one I made 2 was in different sizes. and yes, I totally get you on the [took her to the stash and said:"pick fabrics"..] thing.